OPERATION MAINE MILITARY FAMILY: (Now is the time to knit for the Military Families) The intention of this project is to make a difference in the lives of active duty Maine Military men & women whose families are living in Maine. I’m working together with the Military Family Assistance Center to provide knit and crochet items for the families at Christmas time. 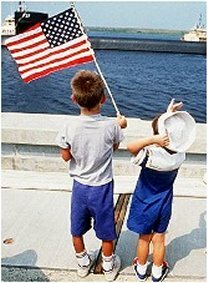 I can use anything that you think they would like from birth through adult. I must have all items turned in no later than December 1st each year in order that I can get them distributed in time for Christmas. This is such a touching and fun project. 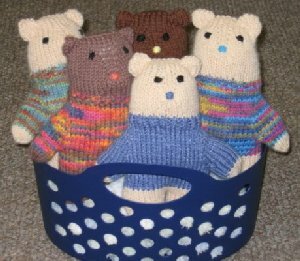 I have a free one-seam knit Teddy Bear pattern available at the shop or by email at your request. The bears will be donated to the Ronald McDonald House and Maine Medical Child Life Program Barbara Bush Wing in Portland, Maine. These are wonderful Teddy Bears and I hope you will participate by making them too and help bring a smile to the face of a child. I want to give a very special “Thank You” to Eva McDonald who created this pattern and gave me permission to use and alter it for this project. 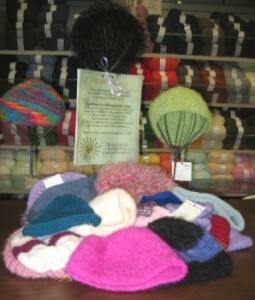 This is a project for making chemo caps for cancer patients in memory of my friend, Richie Aaron. I have created a knit and crochet pattern for a simple beanie style hat and it’s free when you’ll make a cap to donate. This project continues to be such a success as I receive hats from all over the country from customers that have come by the shop or read about it on-line and mail them on to me. 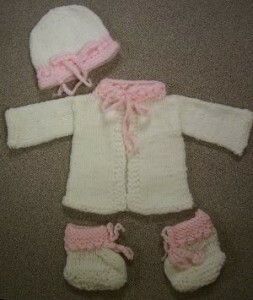 I encourage soft yarns for warm caps during winter months and cotton, bamboo, etc. for summer months to protect against the sun and don’t forget the men…they need hats too! 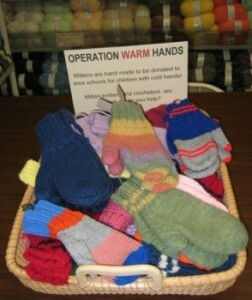 This is another wonderful project of making mittens for donation for the winter season to those with a need. What a great small project for the knitter with little time and so worth while to a child with cold hands! They also make a great summer project and I invite you to help in this project! PROJECT LINUS……ROSEMARY’S GIFT & YARN SHOP IS ALSO A PROJECT LINUS DROP OFF LOCATION: Please drop off quilted blankets or knit and crochet afghans for Project Linus at my shop.